Talking about the easy and efficient payroll system of accounting software, it becomes important for the business owners to opt for flexible accounting software. It may be for large organisations or small businesses, cloud-based accounting solutions have raised its bar to suit the particular needs of the organisations. When you choose accounting software for your business, keep a checklist of all the features which you want ready. This will enable you to choose the best from the available solutions in the market. 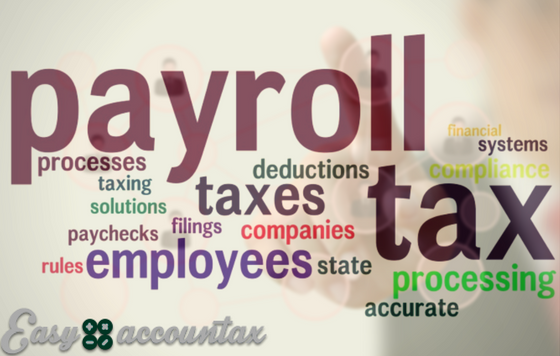 Let’s have a detailed discussion on one of the important features of an accounting software; Payroll. As this feature is complex and it consumes more time, so many small business owners have to rely on their accountants or automated software systems for it. The payroll system which you choose for your business must be effective and accurate. A high-end accounting solution having payroll system will accommodate all the features that can provide accuracy of employee records. Your payroll system must be able to store the employees’ personal details and their various working hours. While you have access to the automated accounting system, it will reduce the chances of human error to a large extent. The stored data can also be easily changed; say e.g. if the lunch break time-in is not proper, you can correct it. It also lets you process the salaries based on the attendance of the employees. Based on that data, you can quickly prepare the salary slip and process it further. If you want to process any employee’s salary later than the regular date, you can cancel the set date and then can set a new date with the details. You can choose how often your employees will get paid, i.e. weekly, twice a month or on a monthly basis. Flexible mode of settling payments is one great advantage of the advanced payroll systems. For the deduction of tax, gratuity or provident fund amount, you can easily enter their net salary amount and the final amount after deduction will be calculated. The gross amount is payable to the employee as their salary amount. And the same process will be done when employees are paid extra for their hourly rates or bonus amount. The accountants managing payroll for their clients can get real-time updates from the cloud-based accounting software. Additionally, they can view the details on the dashboard and can also track the changes made in it. Easy Accountax is a fully-integrated payroll system for small businesses as well as the accountants that make it easy to work across different modules. It has been considered as one of the outstanding payroll systems that offer advantages in terms of time, cost, accuracy and organisational size. No matter you run payroll as many times as you want and access it from anywhere, you can pay your employees at any time with Easy Accountax. By using this high-end cloud-based accounting software, you can stay in touch with your customers and also can enjoy the best advantages this software offers. Our excellent cloud accounting software lets you manage important dates and deadlines seamlessly. Our system is a white labelled product and can be accessed from anywhere and any device. Also offer Android apps and iPhone app which help in managing payroll feature from smart phones or tablets. Stay connected with your business from anywhere and at any time.